Today was the day we put Christmas merchandise on the sales floor! We couldn’t resist…and it was only a little taste of what we have to offer this holiday season! 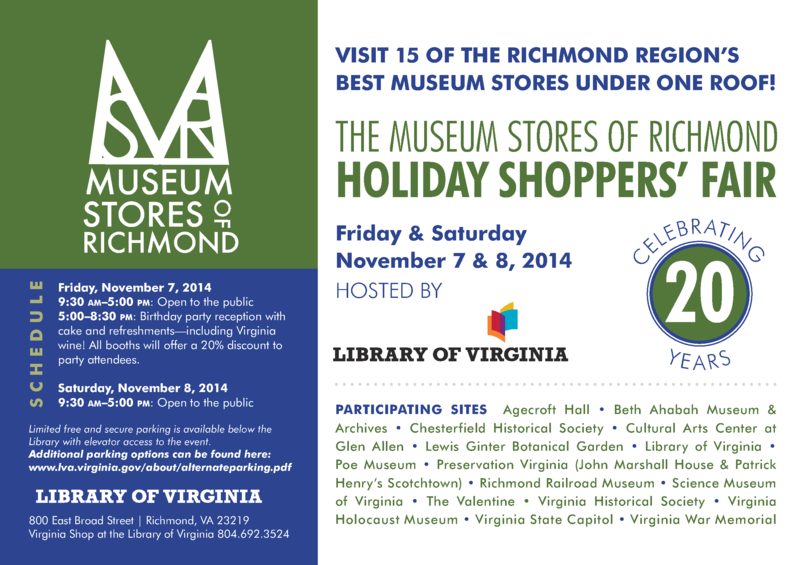 Celebrating our 20th year, the Museum Stores of Richmond’s Holiday Shoppers’ Fair will be hosted at the Library of Virginia on November 7 & 8! 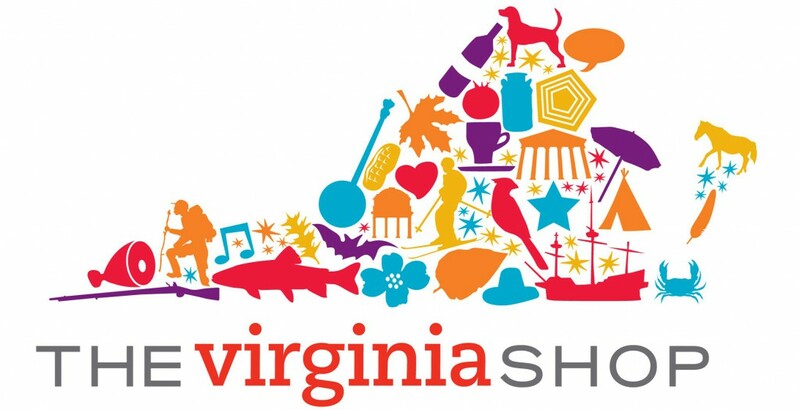 5:00 PM – 8:30 PM: Booths open to general public and 20th Birthday celebration complete with cake, Virginia wine, and 20% discount offered to all shoppers, at all booths. Limited free and secure parking available under the Library with access on 8th and 9th streets. 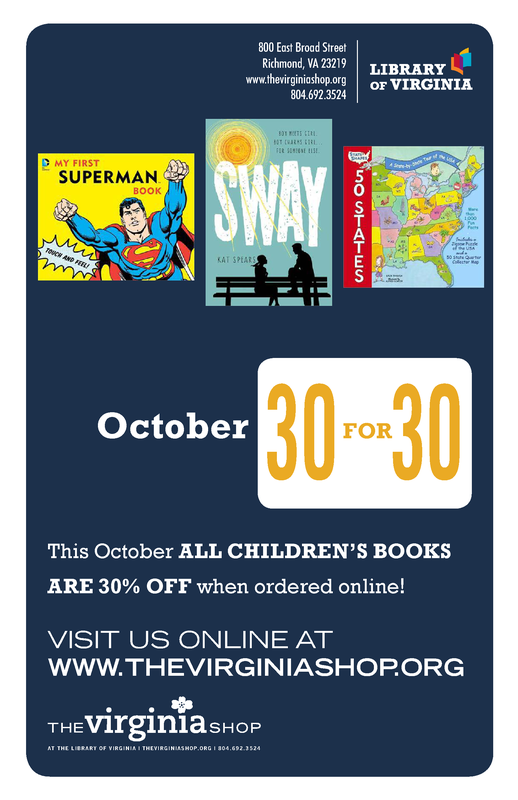 ALL CHILDREN’S BOOKS ARE 30% OFF WHEN ORDERED ONLINE THIS OCTOBER! 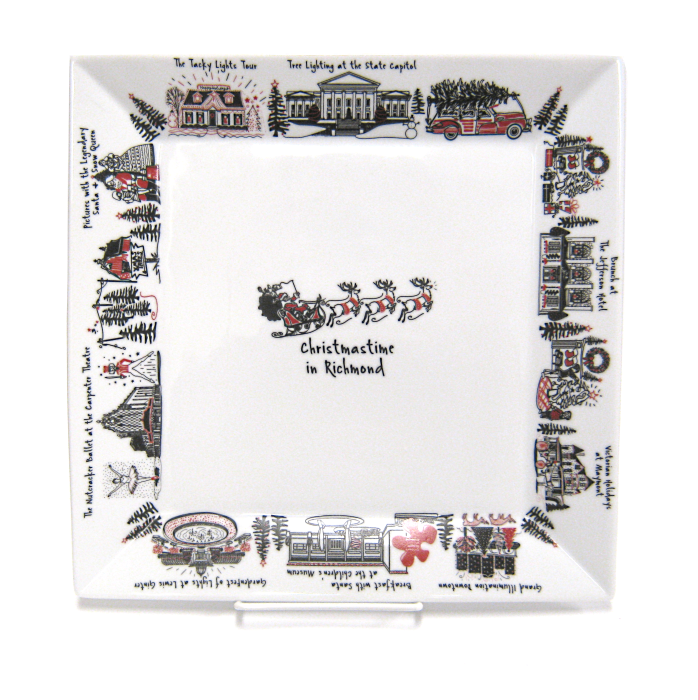 Find a perfect gift for that American Civil War buff you know so well! Our author bestie and Library of Virginia colleague received a star from Publishers Weekly and we could not be prouder! Enjoy Virginia wine tastings, refreshments and a guaranteed laugh. 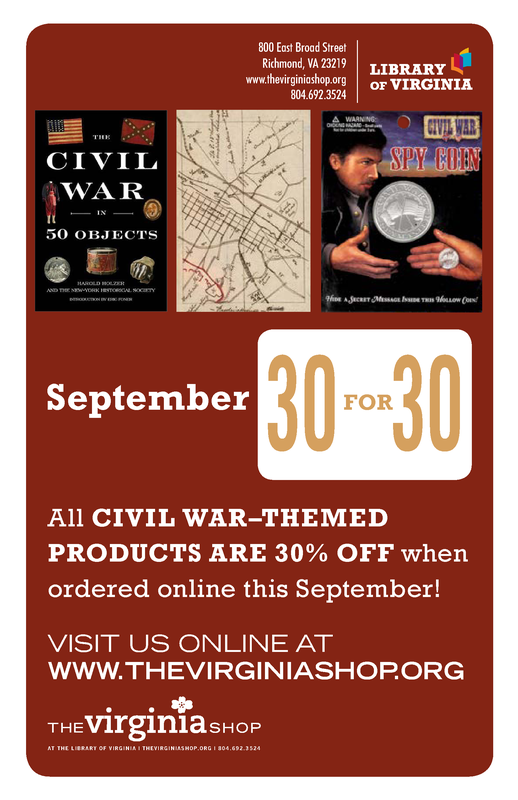 August Online Sale — All Flags are 30% off! NEW! Broadside magazine available on-line! Check out the latest issue of Broadside, the magazine of the Library of Virginia! We have been getting some nice press lately from bloggers traveling to the store from far off lands, the East Coast, or just down the street! Thank you Anne Briggs of Ruly, LLC for your compliments and visit!